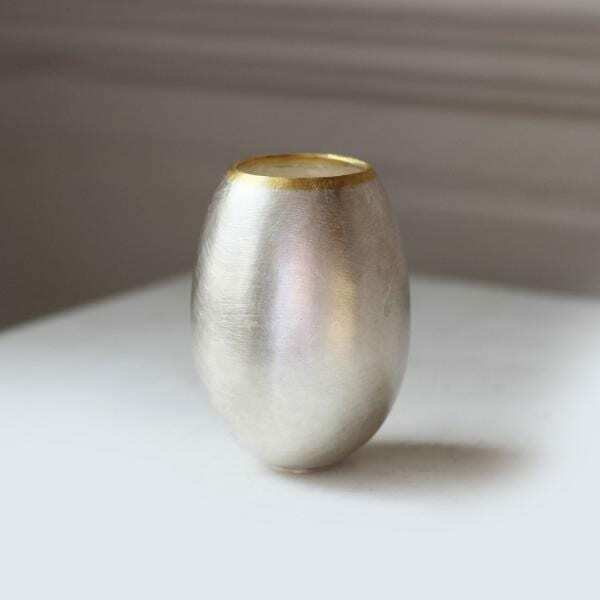 Delightful vessel of ovoid form – hand raised and finished beautifully with an edge of 24k yellow gold. 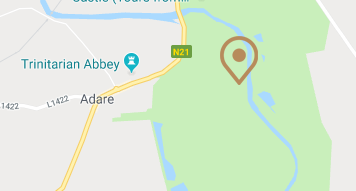 We thought you would like to know has been eyeing up our Fine Silver 24K Yellow Gold Egg Vessel Medium for some time now and has requested we bring it your attention. 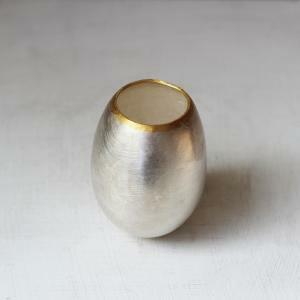 What's your question about Fine Silver 24K Yellow Gold Egg Vessel Medium? 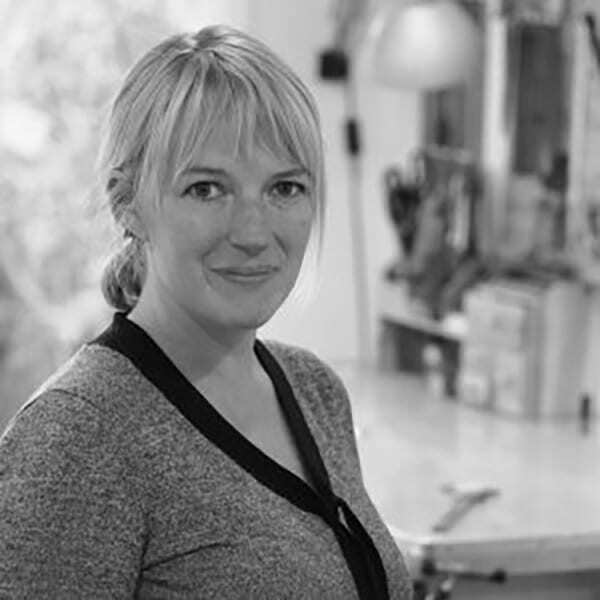 Drawing on her time at Bishopsland Workshops, Shimara Carlow employs traditional silversmithing skills to bring you this beautifully raised silver vessel. Starting life as a flat sheet of fine silver, Shimara patiently coaxed the material into this tactile Medium sized Egg Vessel. 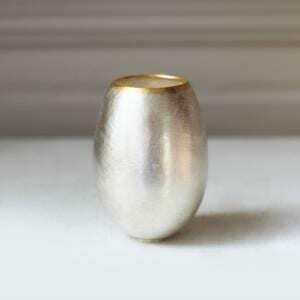 Finished with a contrasting rim in 24k yellow gold this stunning vessel is waiting to go to its new home where it is sure to become a family heirloom. Note: 3" x 6"x 2.5"